A state-run tourism agency on Nov.17, 2004 selected three additional casinos for foreigners — two in Seoul and one in the southeastern port city of Busan. The Korea National Tourism Organization (KNTO) announced that Hanmoo Convention Co.s Oakwood Premier COEX Center and the Millennium Seoul Hilton in Seoul, and the Lotte Hotel in Pusan were chosen to house casinos exclusively for foreigners. The three hotels will sign a lease contract with the tourism organization within five days, and acquire casino licenses from the Ministry of Culture and Tourism next month. They are expected to open the casino as early as September next year after setting up facilities and recruiting employees. Five hotels in Seoul and three in Busan, including the Grand Hilton Seoul and the Ritz-Carlton Seoul, applied to have casinos. The KNTO said it fairly selected judges by drawing lots from a pool of tourism experts. "Judges chose the three hotels after examining applicants facilities, access, service quality and lease price. The judgment was objective and fair," a KNTO official said. However, some of the unsuccessful candidates said they cannot accept the results, claiming their conditions were superior to that of the three selected hotels. 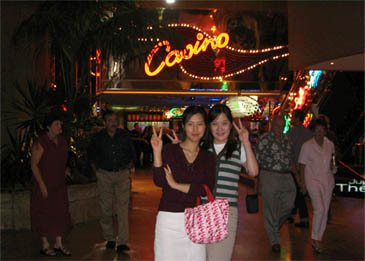 There are 13 foreigners-only casinos in South Korea, one each in Seoul, Pusan, Inchon, Kyongju and Mt. 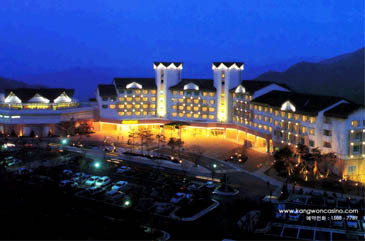 Sorak, and eight in the southwestern resort island of Cheju. Casino workers on Cheju Island have staged rallies in front of the KNTO building to protest the addition of the new casinos, claiming they may lose their customers. With the new casinos, some changes in the casino industry are expected such as merger and acquisitions among casinos and a reshuffle of employees. The KNTO is reportedly considering opening the three casinos one by one to avoid possible conflicts between new and old casinos.